When she was in the 7th grade, Leemor Joshua-Tor came upon a fragrant box that once held her mother’s perfume. It proved the perfect container for a set of flash cards that she was using to learn properties of the chemical elements. “I think my brain connected doing chemistry to good feelings, good smells,” she muses of the fortuitous association. A CSHL faculty member since 1995, a professor since 2005, an Investigator of the Howard Hughes Medical Institute (HHMI) since 2008, as well as Dean of the Watson School of Biological Sciences for a 5-year period, Joshua-Tor is among the most distinguished members of the Laboratory community. In 2017, the structural biologist received the high honor of being elected to the National Academy of Sciences (NAS) and to the American Academy of Arts and Sciences. “I’m a bit overwhelmed,” she admitted on the day she was informed of her NAS election. 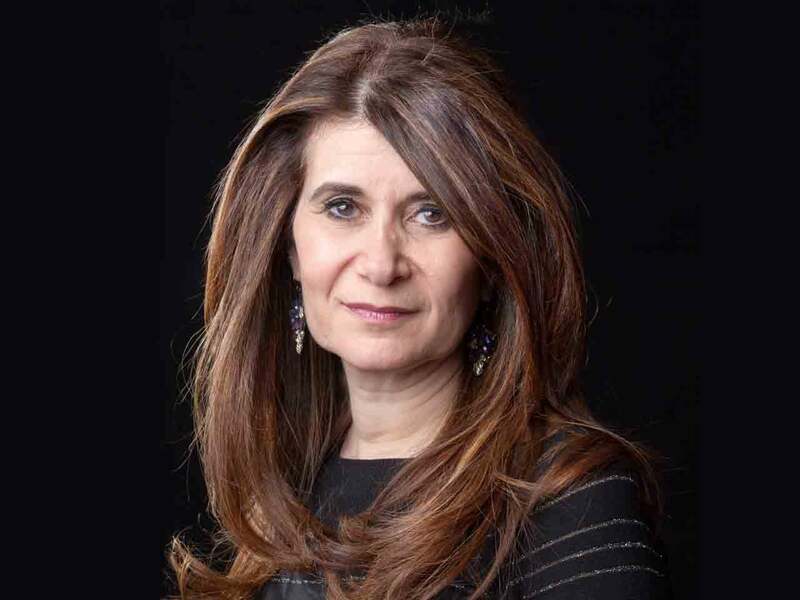 Joshua-Tor was born in Rehovot, Israel and returned there to study for her Ph.D. at the world-famous Weizmann Institute of Science. She had already distinguished herself at Tel-Aviv University and in three subsequent years as an officer in the Israeli Defense Forces, involved in research and development. She did her postdoctoral research at Caltech, by which time her interests in science were pretty clear. “I like to tell people that my expertise is looking at the shape of molecules and understanding from that what they do and how they work,” she says. Not just any molecules, but ones of fundamental importance that lie at the heart of life processes. “I like molecules—they have always seemed…definitive to me,” she says. Biology at first seemed a bit “squishier” than chemistry, a comparison that helps explain her interest in relating biological structure and function. “I think that as biology becomes more molecular, it is becoming more defined,” she says, approvingly—implying that as it does, life itself is becoming better understood. Crystals are highly regular, repeating structures, and when x-rays are shot through them, the particles are diffracted as they bend around the edges of their flat, angled surfaces. 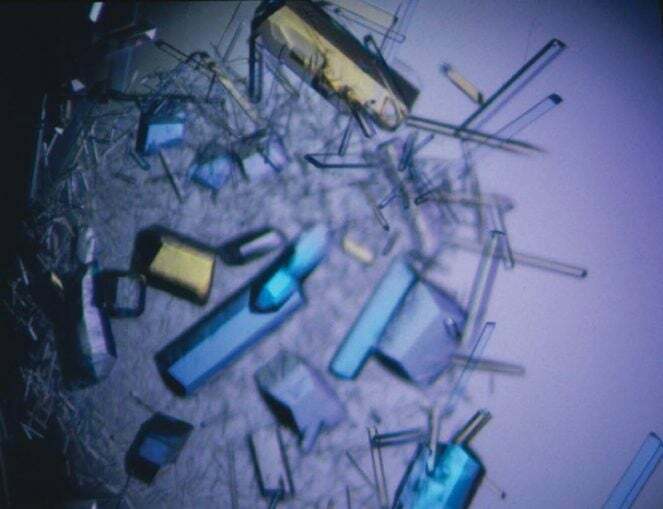 The resulting pattern is analyzed with computers to ascertain the exact shape of the crystallized subject—proteins or nucleic acids. While in graduate school, Joshua-Tor drew upon strengths in computation and chemistry. She was soon working on tools to study nucleic acids, the biomolecules that are the building blocks of life. In subsequent years she applied her skills in chemistry to mastering x-ray crystallography, the method that famously had been used to solve the structure of DNA and many important proteins. It involves shooting a high-energy beam of x-rays through molecules as a means of revealing their shape, down to the level of individual atoms. Today, Joshua-Tor is using a cryo-electron microscope, where an electron beam is passed through a rapidly frozen specimen—no crystal necessary—to obtain a near atomic-level 3-dimensional image. The key developers of the method, which is now widely used, received the 2017 Nobel Prize for Chemistry. Around the time Joshua-Tor arrived at Cold Spring Harbor Laboratory in the mid-’90s, the biology community was just learning about a fundamental cellular process called RNA interference (RNAi). Through RNAi, cells in a wide variety of organisms—yeasts, plants, animals—are able to regulate the output of their genes. By the early 2000s, Joshua-Tor and colleagues including Rob Martienssen and Greg Hannon were using biochemical and structural methods to lay bare the mechanism that enabled RNAi to silence genes in a highly specific manner. 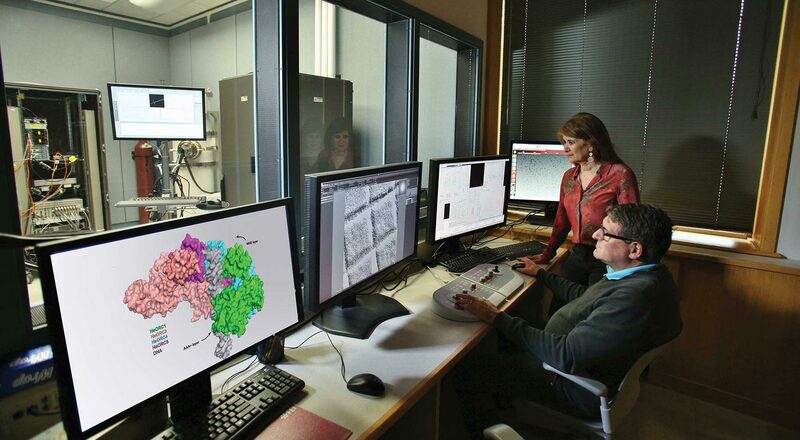 Here, at atomic resolution, the multi-part protein complex, ORC, that performs the first step in genome replication. In 2003 they provided a first-ever glimpse into the molecular structure of a piece of the RNAi machinery, one domain of a large protein (now understood to be an enzyme) that interacts with messenger RNAs. mRNAs are messages from genes, bearing instructions for building specific proteins. Joshua-Tor was working toward crystallizing and solving the complete structure of that protein, an RNAi component called Argonaute. There were theories about how RNAi actually works to tamp down gene expression. Her team’s full Argonaute structure, published in 2005, definitively solved a key part of the mystery: the protein features a groove into which tiny guide sequences of RNA can nestle. Armed with an RNA guide strand, Argonaute can be programmed by the cell to seek out specific mRNAs, bind them, and then via enzymatic action, slice them up. Interfering in this way with the process in which DNA is transcribed into an RNA protein blueprint, Argonaute proves to be the catalytic element—the “slicer” that prevents a protein from being made. Joshua-Tor’s lab continues to work on Argonaute, which has eight structural variants in the human system alone and whose ability to fine-tune the output of our genes can mean the difference between health and sickness, even life and death. 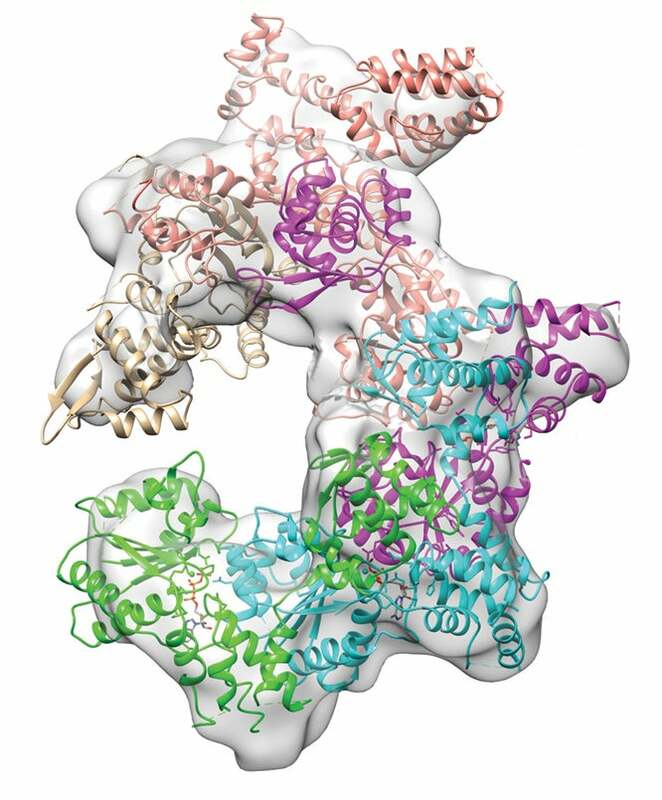 Another of the lab’s achievements is its success in explaining how a six-sided protein ring called helicase—essential in all life—attaches to the double helix and works like a tiny motor, unzipping the two DNA strands as other molecular machines go about copying one of them. It’s a central part of the process in which one cell becomes two. “We have shown how the separation in the two strands gets propagated,” explains Joshua-Tor, “but we still don’t really understand how the double helix is actually opened, at the beginning of the process.” The continuing work on Argonaute exemplifies how the lab rarely stops after solving a structure. “Often the structure informs genetic and biochemical studies that enable us to learn how a particular biological process works,” she says. 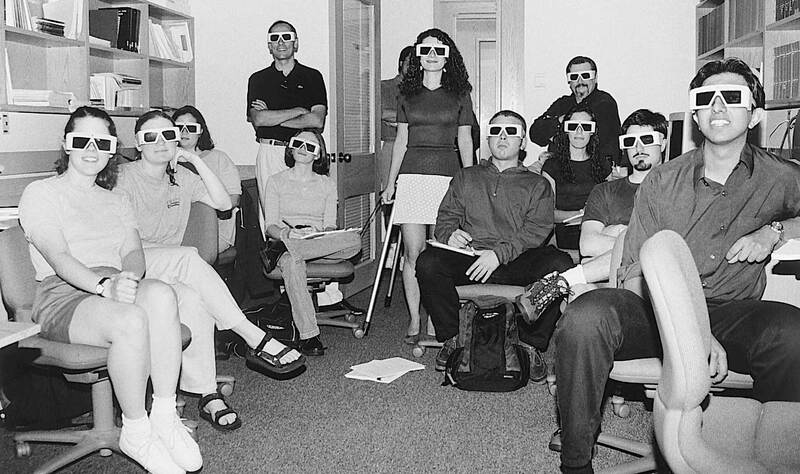 Joshua-Tor helped develop CSHL’s innovative Ph.D. program and served as its Dean. As her career in research has progressed, Joshua-Tor has come to appreciate the importance of being flexible—ready to take on new challenges. A decade ago she became passionately engaged in efforts to help find a solution for malaria, investigating structures that might yield targets for new drugs. In the last several years, her lab has been motivated to study a class of enzymes called TUTases, which are promising targets for new cancer therapies. Joshua-Tor also collaborates with Bruce Stillman to solve mysteries about the human Origin Replication Complex (ORC), the “initiation protein” for DNA replication, which Stillman’s team discovered, in yeast, in 1992. 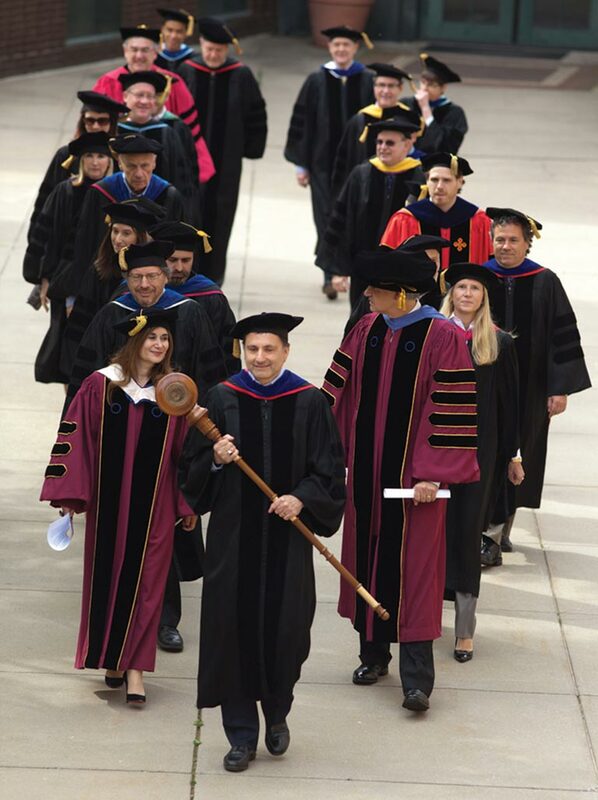 Joshua-Tor is proud of her role in helping to launch the Ph.D. program of the Watson School, which accepted its first students in 1999. She and others, including founding dean Winship Herr and Bruce Stillman, agreed that it was important to design a flexible graduate program. “In science, you always have to be willing to rethink,” she says. “We apply this philosophy to the school.” At an early point in her own graduate education, a rotation to a structural biology lab opened her eyes to new possibilities. She thinks all students should have multiple chances to discover their passion. 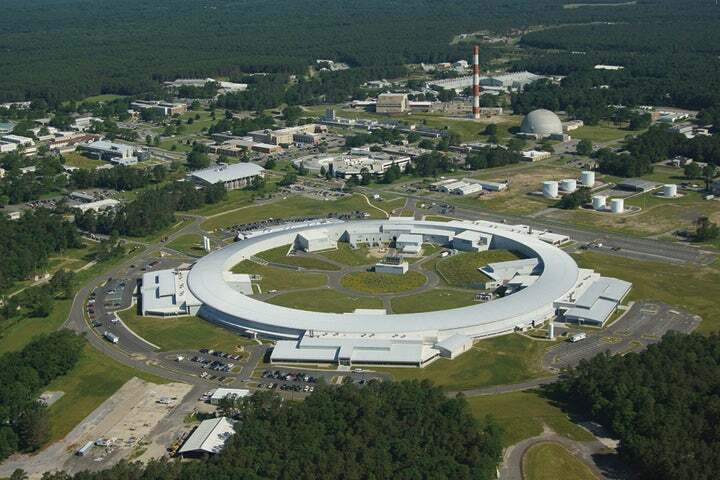 The U.S. Department of Energy’s National Synchrotron Light Source II at the Brookhaven National Laboratory. The year after being named Dean, Joshua-Tor was selected to join the elite ranks of HHMI Investigators, a distinction she continues to enjoy that she says has given her great freedom as a researcher. 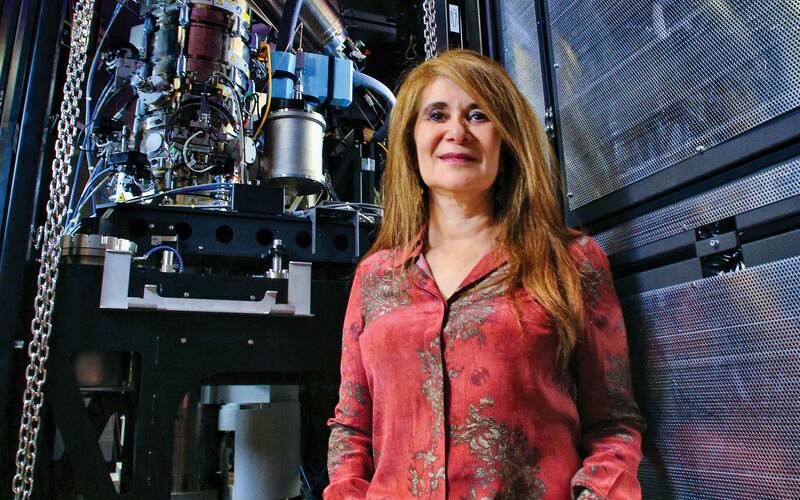 In addition to advising and at times leading committees that have managed the National Synchrotron Light Source at Brookhaven National Laboratory, she has served on advisory panels on the future of structural biology and on the biomedical workforce for the National Institutes of Health. As her accomplishments have accumulated steadily, it follows that Joshua-Tor has been regarded by colleagues and students as a leader—not only an academic and research leader, but also as a mentor for women trying to succeed in science. She accepted an invitation to be faculty advisor for the Women in Science and Engineering (WISE) group when it formed on campus in 2015. Three years ago, in remarks made upon accepting the Women in Science and Education Leadership Award, given by the ACE Women’s Network, Joshua-Tor quipped: “Two plus two equals four—even in pink.” She says she is grateful for the attentiveness of Bruce Stillman and COO Dill Ayres to “thinking about issues of concern to women scientists and how we can make things better.” At the moment, however, she, like many of her colleagues, is focused on another issue: figuring out ways to make sure “the people of our country understand how important the public investment in science is.” That’s an issue that touches the very heart of the scientific enterprise, to which Joshua-Tor has devoted her career.